James Horner, the Hollywood composer who wrote the Oscar-winning score for Titanic, has died in a California plane crash aged 61. A trained pilot, he is reported to have been alone aboard a small private plane which crashed north of Santa Barbara on Monday morning. The musician worked on three James Cameron films, as well as A Beautiful Mind, Braveheart, Troy and Apollo 13. He won one Oscar for the Titanic film score and another for its theme song. Dion released a statement saying she was "deeply saddened" by the composer's "tragic death". "He will always remain a great composer in our hearts. James played an important part in my career. We will miss him. We offer his family and friends our deepest sympathy." Horner was nominated for a further eight Oscars, for scores and songs for the films Avatar, House of Sand and Fog, A Beautiful Mind, Apollo 13, Braveheart, Field of Dreams, An American Tail and Aliens. He was also the composer for the two highest-grossing films of all time, Avatar (£1.7bn) and Titanic (£1.3bn) and is listed on the Internet Movie Database as having 95 soundtrack credits and 158 composer credits. "My job is to make sure at every turn of the film it's something the audience can feel with their heart," Horner said in a 2009 interview with the Los Angeles Times. "When we lose a character, when somebody wins, when somebody loses, when someone disappears - at all times I'm keeping track, constantly, of what the heart is supposed to be feeling. That is my primary role." The plane crash in the Los Padres National Forest, north of Los Angeles, left an impact crater and sparked a brush fire that had to be put out by firefighters, local fire authorities said. Horner's personal assistant, Sylvia Patrycja confirmed his death, writing on Facebook on Monday: "We have lost an amazing person with a huge heart, and unbelievable talent. He died doing what he loved. Thank you for all your support and love and see you down the road." Horner, who was born in 1953, started piano lessons aged five and went on to study at London's Royal College of Music before moving to California in the 70s. He went on to study music theory and composition, achieving a bachelor's degree, master's degree and PhD, scoring student films as a sideline. His first break came with the score for 1982's Star Trek II: The Wrath of Khan, and he went on to work with some of the biggest directors in film, including George Lucas, Steven Spielberg, James Cameron, Ron Howard and Oliver Stone. Actor and director Howard tweeted: "Brilliant Composer James Horner, friend & collaborator on 7 movies has tragically died in a plane crash. My heart aches for his loved ones." Russell Crowe, who starred in Howard's Oscar-winning film A Beautiful Mind, added: "My sincere condolences to the family, loved ones and friends of James Horner." 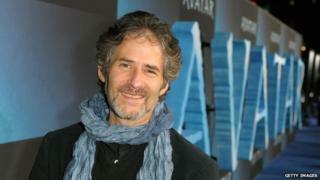 Actress Kirstie Alley added her voice, saying: "I'm so sad to hear about James Horner... He scored the first movie I did - Star Trek 2. Great composer... great person... huge loss." Eight-time Oscar winning composer Alan Menken, whose works include The Little Mermaid, Beauty and the Beast and Aladdin, paid tribute by saying he counted Horner as "among the very best film composers of our generation". "His work is stirring, emotionally powerful and broadly evocative. Although we only met on a few occasions, I will always cherish the memory of him and his wonderful work," he said. Actor Rob Lowe echoed the sentiments of many by tweeting: "There is nothing that shaped my movie-going experience more than the musical genius of James Horner. He will live on through the ages." American composer Steve Jablonsky, writer of the music for the Transformers movie series, tweeted about the influence the composer had on him, saying: "James Horner, thank you for inspiring a young me to pursue a career in film music. Thank you for your music. Rest in peace." The Amazing Spider-Man director Marc Webb added: "Last time I spoke to JH he was scoring for a kid at AFI. 2 Oscars and he agreed to score a student film! What generosity." Cameron, who directed Titanic and Avatar, paid tribute to Horner in 2011 when the composer won an award at the eDIT Filmmakers Festival in Frankfurt. The director said: "In Titanic, I challenged you to do an emotionally powerful score without violinists, and with the use of haunting vocals and bittersweet Celtic pipes, you reinvented the romantic score. "Avatar was a very different challenge - to capture the heart and spirit of an alien culture without alienating the audience. "By combining the sweep of a classic orchestral score with indigenous instrumentation and vocals, you came up with a unique sound that created both the epic sweep of the film and also childlike sense of wonder of experiencing that fantastic world for the first time." Horner leaves a wife and two daughters.